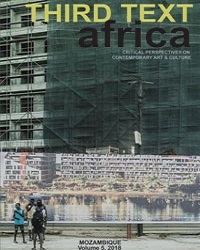 In a recent paper (soon to be published in art journals here and in the UK) I raised the questions as to whether South Africans are capable of making a paradigm shift away from a world view centred on the West, and whether we are able to develop an inclusive vision of Africa. Reviews by Marilyn Martin and Sue Williamson on the Venice Biennale amplify the need for these issues to be debated. In contrast to a recent claim by Martin that “We no longer need to genuflect to Europe”  her accounts of the Venice Biennale demonstrate both persistent eurocentricism and a shallow and opportunistic ‘Africanness’ in service of that vision. Williamson also presents an acceptance of Venice as the axis around which we spin, but her review is less provocative than Martin’s and would not in itself have warranted this response. However given the prominent positions of these two individuals in the visual arts their views carry more weight than most, and should therefore not go unchallenged. In Martin’s companion piece “Faultlines and Fumblings” she extends the same argument to Africa as a whole, with the exception of Egypt. Martin opens melodramatically with “Africa also died in Venice in 2003”. She continues “African leaders evidently do not understand the power of art in the process of establishing and maintaining the status and influence of a country; after more than 100 years of the Venice Biennale Egypt is the only African country that has a [regular presence]”. Perhaps Martin should tell us why visibility in Venice is so important, apart from it being the “oldest” biennale. Does this exclusive ‘pedigree’ really qualify it for a superior status? According to Williamson having a “real presence at the Venice Biennale” is “to move [African arts] closer to the centre.”. Certainly if we are to measure our success by visibility in the heart of the West then Venice is important. But if the success of our project depends on re-centering the world with a blatant bias towards the exploited Rest then Venice is perhaps not so important. 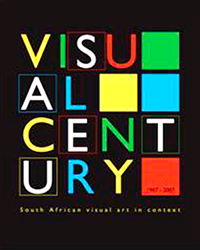 Our marginalisation as South/African visual/artists will not be addressed by a guest place at “the centre”, it will be addressed by shifting the centre, decentralising it globally so that the fortunes of most are not subjected to the whims of a few. Our marginalisation will be addressed by linking our struggle for visibility with a struggle for relevance, a struggle to engage the critical issues that affect all of us far more profoundly than being on curator Francesco Bonami’s guest list. I offer two examples that highlight the marginal status of South African visual arts internationally whilst simultaneously offering us an opportunity to redress that marginality. They are not the only examples but I have chosen them because they both represent processes in which South Africa is playing a leading role. The first concerns working towards peace and development in Africa. Where are our artists, art educators, curators etc in complementing this process? Why are we not discussing how the visual/arts can contribute towards Africa’s development? Why do we let the debates around an African Renaissance exclude the visual/arts? The second process concerns globalisation and the battle for a fair economic system. The recent failed Cancun talks heralded the advent of the so called G21 whose most prominent members include countries as diverse as China, India, Brazil and South Africa. Our Trade and Industry Minister Alec Irwin played a significant role in mobilising exploited countries to realise their power to resist. In this context of solidarity against the Greedy Eight (G8) countries a critical engagement with biennales located in the Third World would appear to be infinitely more important now than being seen in Venice. 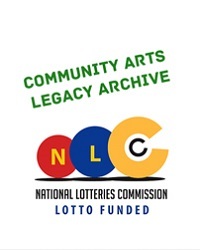 Why is there no debate coming from within the visual/arts community about how the arts can participate in complementing these critical initiatives? Are the arts, and the visual arts in particular, so impotent that they cannot play a role in these broader processes? If they are then perhaps the visual arts deserve their marginal status. In the context of our absence from real international struggles lobbying for participation in the Venice Biennale is to inadvertently further the perception of the visual arts as marginal. In fact at this point in time we should not be asking our government to support our participation in any of the major showcases in the art capitals in the West. We should be asking it to support us in engaging with artists across Africa and throughout the Third World. We need not do this in a superficial way determined by diplomats but with an agenda set by artists and people working in the arts, and informed by real rather than esoteric concerns. This should be our priority, a project we should adopt for at least ten years. We could take this further by lobbying artists and governments throughout the Third World to do the same. We do need to turn the tables on the West if we are to realise our full potential. Let us see how long they can sustain their own shows without the ‘exoticism’ that ‘developing’ ’countries bring to their events. Perhaps it would even be good for their own practice to be isolated by the Third World. 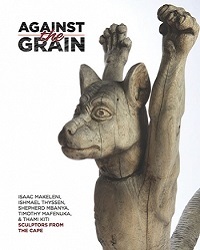 Perhaps it will encourage them to reflect critically on their role in the way that South African art and art history, contrary to the views of people such as Martin, benefited from international isolation under apartheid. But let us not boycott them completely. Let us invite those who traditionally invite us to participate on terms set by ourselves in our own shows with our own agendas. While ten years may not be enough to make a huge difference, it should be enough to make a start in developing a truly international art community. We also need to ask what kind of events do we need? Biennales themselves, as presently conceived, may not be the most suitable vehicle for promoting the exchange of skills and ideas. Similarly high powered conferences have their limitations regarding active participation. On the other hand participant centred workshops and forums need visibility in order to have impact. There will be no simple satisfactory solution, but we need a proper debate about what it means to be part of the international community beyond fitting into an iniquitous system and creating a few international superstars and holding these individuals up as a sign of progress. I do not know Tawadros nor am I familiar with her show, but there are two things that need to be said here. The first is that is that her exhibition appears to be a radical re-positioning of the assumptions that usually frame Africa. Judging by most surveys of African art Africa is usually taken to read as Sub-Saharan Africa but stopping short of South Africa. By privileging Egypt and South Africa Tawadros challenges this (usually unwritten) rule. She compounds this re-framing of Africa by foregrounding the diaspora. By doing this she calls into question the very notion of Africa and how it is defined. While I cannot comment how successful she is in doing this, the idea itself is certainly not without curatorial merit as claimed by Martin. Secondly it is somewhat obnoxious for Martin to dismiss the right of Africans living in the diaspora to be seen as Africans. Africans in the diaspora may have complex overlapping identities but so do persons born on this continent with ancestry from another. Pretending to be ‘more African’ on the basis of birth and residence, particularly when that ‘right’ is a consequence of a ‘settler’ inheritance is insensitive to the usually deplorable circumstances that caused many Africans to go into ‘exile’ in the first place. Besides, arguing ‘who is more African than who’ is less important than demonstrating a commitment towards Africa’s development, and here Martin is particularly vulnerable. She may well be right in criticising our officials for globetrotting with limited results, but Martin is no desk bound administrator herself. If she purports to be an African voice perhaps she can tell us how many miles she has traveled to international destinations since 1990 and how many of these have been to African countries? Let us stop mouthing platitudes to ‘promoting’ Africa and commit ourselves to re-centering our world. Until our artists have a visibility on the continent and in the Third World, beyond participation in elitist biennales, we should not be mourning our absence at Francesco Bonami’s table. Until that day our call should rather be: Death to Venice! mario, bonami is not the next (2007) curator of the venice biennale, its robert storr.